In order to create a comfortable facility, and to protect the asset value, we perform preventive maintenance and upgrades of electrical devices, lighting, plumbing, air-conditoning, fire fighting equipment, and so on. Additionally, we actively research energy saving methods, implementing the results of our findings as applicable. We create a safe environment through education and training, which allows our security personnel to make quick decisions and take appropriate action. We look after all aspects of the building’s security, from the car-parking and reception areas to the disaster prevention team. 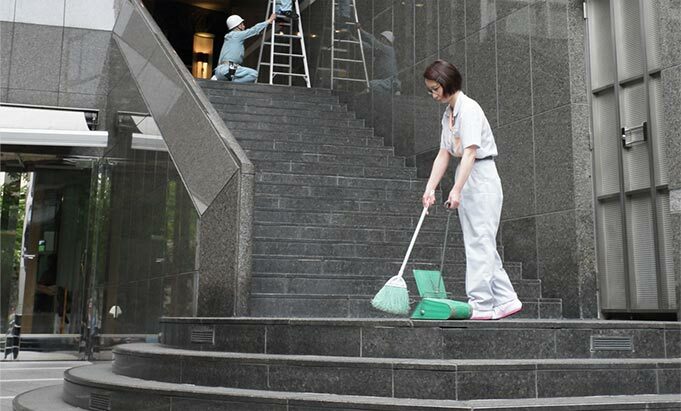 As well as using the most effective cleaning agents and devices, we work under the motto of “preventative cleaning” to ensure that the buildings are always in a hygienic state. Furthermore, through our technical service center, we can provide feedback using the most advances technology and expertise. We strive to offer the most advanced specialist cleaning services around. We take care of all gardening requirements from routine supervision of plants to pest control, pruning, wedding, fertilization, planting and emergency care. We can also take care of the planning and implementation of specialist features such as rooftop gardens or wall climbers.